With the upgrading of technology like ASP.NET, SharePoint and more, there are various online file management systems like Google Drive, DropBox and SkyDrive are available in this day and age to manage different types of documents. When a company does not want to publish its records to the cloud, there is a need for a system to maintain these documents. Therefore, to meet this purpose, there is a need to build a document management system. However, it is in the early stage, and all the functionalities seem working. Besides a lot of work needed in the document management system, the code also needs refactoring. 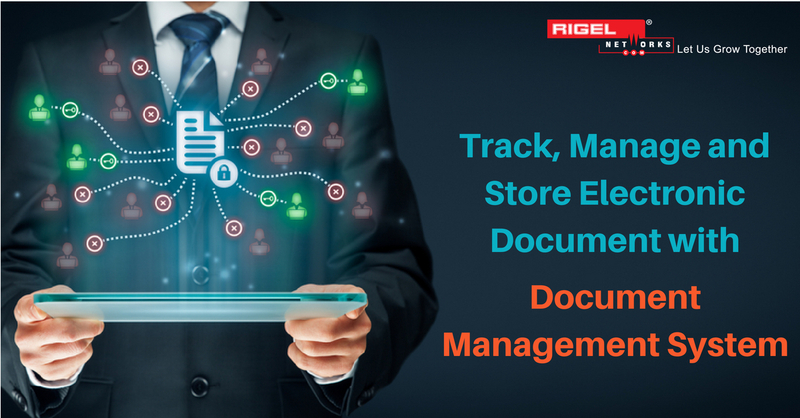 Document management is a system that is used to reduce paper, track, manage and store the electronic document as well as images of paper-based information captured through the use of a document scanner. It also refers as Document Management System. A document is recorded information or object which treats as a unit, according to ISO 12651-2. Might sound to be slightly complicated, but merely it is what you have been using for years to create and distribute. In a simple term, it is a software that organizes and controls documents throughout an organization, incorporating document, capturing content, document repositories, output systems, workflow, and COLD/ERM. Apart from this is also information retrieval systems. Overall it is a process used to control, store and track the documents. -> Check-in/check-out and document lockdown – To coordinate the simultaneous editing of a document like, so that the individual changes do not overwrite another. By leveraging the latest trends and development frameworks, Rigel Networks a prominent ASP.NET Web Development Company delivers custom.Net development services to clients across the globe. In recent times, Rigel Networks was approached by a well-known organization based in Estonia, who deploys his system at many government institutions like municipalities. The organization was looking forward to designing a web application for document management and processing of Estonia residency. The document management software project is a multilingual application, built from scratch using third-party tools and technologies like ASP.NET Web Forms, C#, MS SQL with ADO.NET. It is a web application software, which develops as a platform for document management and processing. Consisting of many features like the sign in using mobile and smart id the application has many essential modules like FrontPage, documents, messages, case management, tasks, finances, calendar (scheduler), projects, e-mails, archive, configurations, admin and settings panel. Providing through support and development services to our customer, that consist of tasks such as understanding the needs of improvements within the project, develop new support applications or software if needed, refactor and renew existing controls and features under existing application, restore old ASP.NET Controls with Telerik ones, debug and test existing issues in application. By accomplishing the project in a given period with a talented team of ASP.NET and C# developers, the client was not only impressed by the application but also appreciated the developers for having a good eye for UI errors and delivering excellent work. However, this was not the end of the project, as the customer very soon came up with another new task of implementing X-Road with his existing application, which is an Estonian government managed the online system. Wondering what exactly X-Road is? The X-Road is an open source, data exchange layer solution that enables organizations to exchange information over the Internet. It is a centrally managed distributed integration layer between Information Systems that provides a standardized and secure way to produce and consume services. It also ensures confidentiality, integrity and interoperability between data exchange parties. Currently, we are developing code that consumes services and data shared by Estonian government entities. Enhanced the performance, look and feel of the existing version by implementing newer and affluent-looking Telerik UI Controls. Apart from all this, we also take charge of the online error system which the customer uses to report errors. So do you want to build high-performance, secured applications & software products for web, mobile and cloud? We have the best skilled ASP.NET programmers with in-depth knowledge about the latest technologies, UIs and methodologies. How ASP.Net Applications Overcome the Challenges in Logistics & Field Service?